Energy Risk Management | Utility Procurement Strategies | Vervantis Inc.
Control price volatility like a bank using SourceRisk™, a proprietary solution, that allows dynamic buying decisions through supplier agreements. If your company is in direct access markets and spends $5m or more on energy procurement, the business case for energy risk management is much stronger, mainly due to the impact of energy commodity price volatility. Therefore, more sophisticated tools are needed within your energy procurement strategies to protect cost. Call us at (888) 988-5474 to learn more today! Energy procurement is different from other spend categories due to the underlying volatility inherent in the commodities. however, while the price of energy commodities such as fuels can be volatile in the short term, they can also follow long cycles meaning that energy prices can remain elevated or depressed for extended periods of time. As a result, commodity price volatility needs a strategy to manage it in both the short and long term. To address this, Vervantis apply energy risk management tools and skills commonly found in banks and energy suppliers to accurately measure and control an organizations exposure to commodity prices using value at risk. Our energy procurement experts negotiate proprietary supply agreements directly with energy vendors allowing organizations to transact dynamically under an expertly managed energy sourcing process. Dynamic transactions alter the percentage of your energy spend that is fixed or unfixed at any point in time, and transactions can be made in small or large blocks. This fine-tuning of transactions ensures energy risk management goals are met with a clear understanding of, and careful watch on, the underlying category risk being taken. Risk reports and energy data analysis is available 24/7 through DataHub360™, our proprietary energy management portal. We developed and pioneered this energy risk management approach to energy procurement specifically for large energy consumers. The process is, with absolute certainty, the logical conclusion of how consumers should buy energy commodities and more importantly, complies with all accounting or auditor led directives (SOX, Dodd-Frank, IAS39, FAS133 etc), so as a result, your finance team will be happy too. To learn more about energy risk management, flexible energy procurement or value at risk and how it improves procurement decision-making – request our free guide above. If you are located in an area that does not support energy competition, check out the tab below to understand how our regulated energy sourcing solutions can help you. Energy procurement is much more complex than signing a contract and hoping you’ve made the right decision. It takes a lot of research and, even more importantly, an understanding of the energy and utility landscape. For businesses, the way utilities are handled will inevitably influence how much money is spent and how much energy is saved — two things that can drastically change your fiscal outlook. To understand the best solution we carefully consider options from energy suppliers, regulated utilities and SourceRisk™, our noteworthy dynamic price risk management solution. Energy consumers with sites in markets or regions with no competitive sourcing can still get cheaper rates. 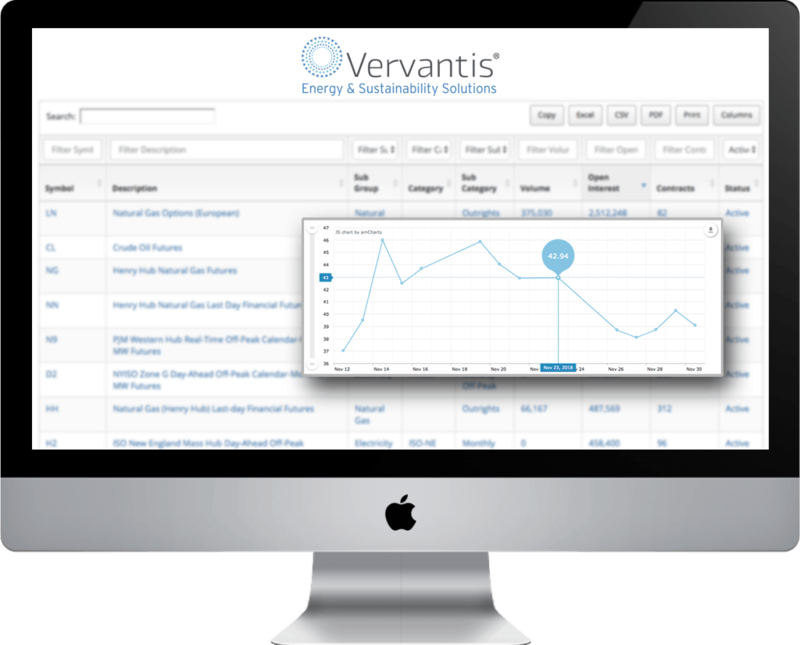 Vervantis has proprietary models which accurately analyze and compare thousands of regulated utility rates against your facilities load profiles, creating savings recommendations in hours. The need for organizations to access and evaluate energy data on demand has never been greater, especially while sourcing. Vervantis enables this using its secure cloud-based platform DataHub360™ which allows organizations to view and report on their energy, utility, sustainability, and bill management programs instantly. Utility bill management automates the collection, payment, and validation of invoices. The speed and accuracy of payments, exception resolution and open close management from our team of billing experts make late payment fees and disconnections a thing of the past. A financial-grade utility dataset supports utility management programs and helps accounts payable teams lower administration cost by up to 75%. We know what we're doing. You'll never be a number! Vervantis is an independent US corporation headquartered in Phoenix, AZ. 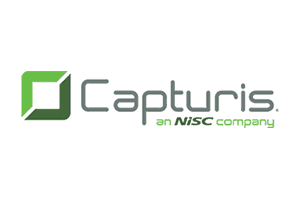 We provide specialist services for large and medium sized companies across the globe. Our services are customized to your needs and include, on-demand energy pricing, sustainability expertise, utility bill management and administrative support. We can help you to optimize your energy consumption and acquire the knowledge and skills to operate more efficiently and economically.